Elyse Knowles' posts makeup free selfie to talk about pimple battles. "It can really get me down." Elyse Knowles opens up about her struggle with pimples. 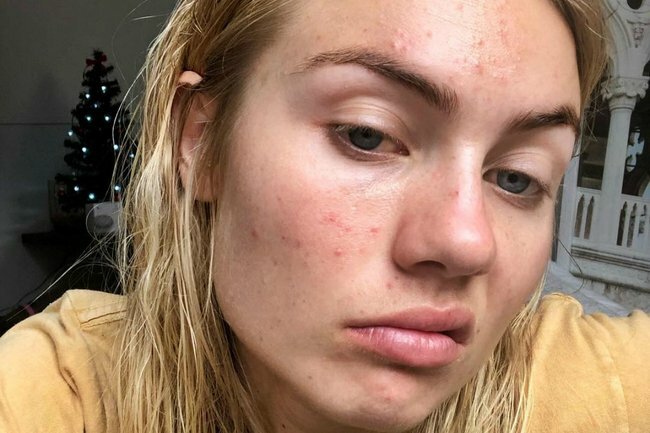 Model Elyse Knowles has opened up about her insecurity with her skin, revealing she has struggled with “really bad pimples” for years. The 26-year-old told Instagram followers that although she tends to keep things “bottled up” because she didn’t want to seem ungrateful, she decided to be “vulnerable and honest” and share this hidden struggle. And with that, she shared several photos of herself without any makeup – something she said she’s never done on her Instagram before. In a blog post on her website, the Myer ambassador said she wanted to share this “very raw version” of herself in the hopes it would help others experiencing similar insecurities. “Skin has always been a trouble of mine. I’ve combated blemishes and really bad pimples for years and years,” she said. “I know how blessed I am in many ways, and some people have much greater troubles with the condition of their skin. I also understand that breakouts are not the end of the world. “But despite these rational thoughts, I’m only human and the truth is that my skin issues do make me feel crappy. It’s a thought process that will be oh-so-relatable to anyone who’s struggled with acne or skin problems themselves. Especially for all the women and men who, like Elyse, only started getting bad pimples in their late teens or early 20s. 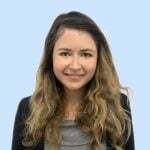 Like others, she’s tried all different types of treatments, including the controversial vitamin A medication, Roaccutane, which she doesn’t recommend unless it’s a “last resort”. Fresh faced and ready for a jam packed day ???????? During a recent interview with Mamamia’s You Beauty podcast, Elyse said that her skin goes “crazy this time of year” because of work and travel. She said, unfortunately, the makeup required for her job also made her skin worse. Elyse said in her blog that she also had to deal with “very cruel” comments about her face on social media, but has developed a “thick skin” to deal with it. But she said the blog post was not about “complaining”, but being honest. She then invited readers to share ideas or solutions that worked for them. You can read Elyse’s full blog post here.